Hello again! 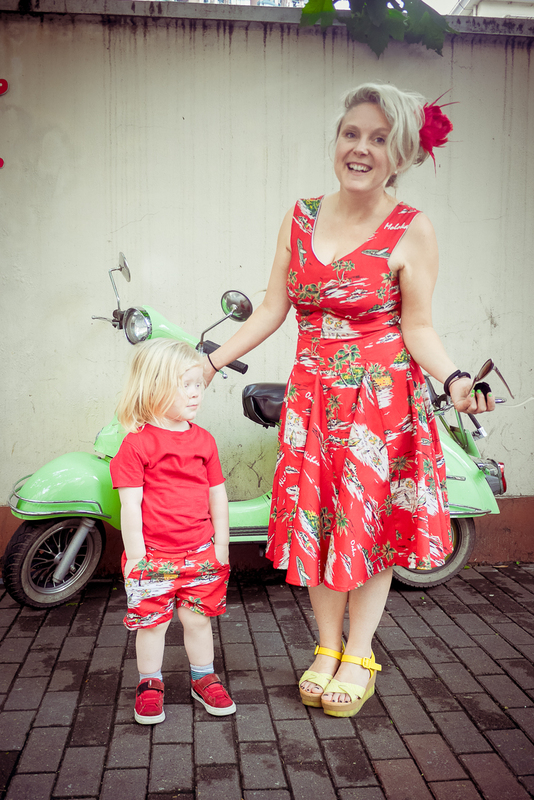 Today I have a lovely little boy joining me, wearing some lovely little hand sewn shorts for summer! 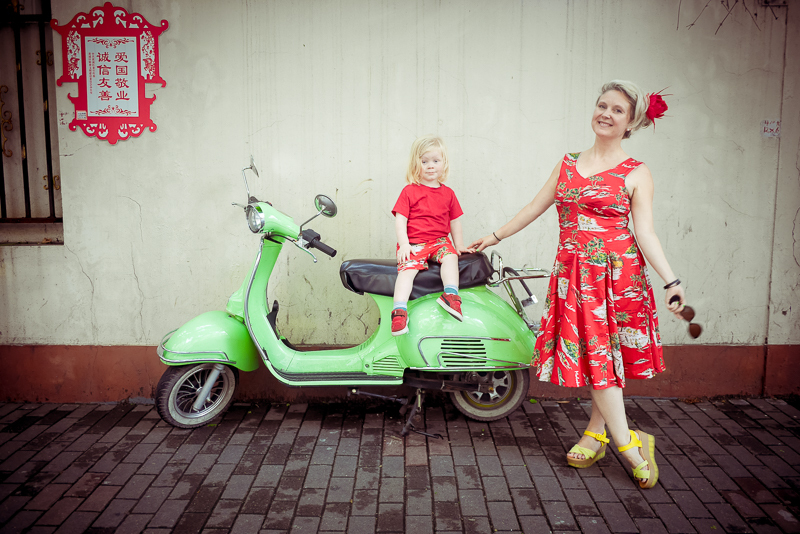 You've probably seen the photos I featured last month on my blog, but we snuck a few extra in because that random Shanghai scooter in the random Shanghai street... pretty cute, right? Understandably, I've just been so sluggish lately with the 36 degree days in Shanghai. If you’re in a super humid climate, how do you spend the days? I’ve been trying to get up early (doesn’t ever work) to do some things before it gets hot, but it’s hot like RIGHT away… we take Felix to school at 8.30am on the bikes and we’re sweltering on the ride home… it’s only 10 minutes on the pushie but it feels like an hour in the heat. Luckily, these photos were taken right after the Typhoon in July on a super normal summer day, lovely and warm and a little overcast! I’ve never made a Oliver + S pattern before this year, I bought two of the boy patterns a while back, and luckily I have time this year, because he might be too big for them in a year or two! I bought the 6 months to 4 year old size, he's a size three already as a two year old! So weird to think that! Children really grow quickly! These are a short version of the Oliver + S Art Museum Vest + Trouser Sewing Pattern, and the second pair I’ve sewn. 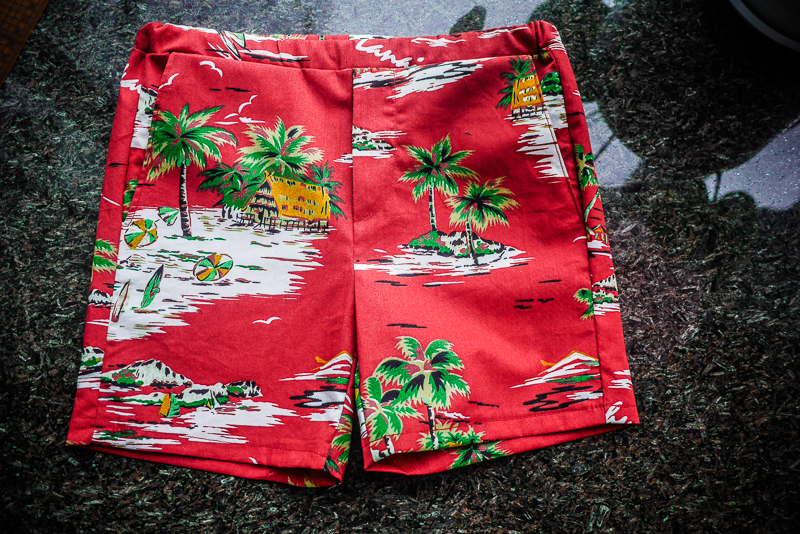 The first was a test pair from red gingham, and I have photos somewhere of Felix wearing them, but these photos were ready first! The fabric is the same as my Sophia Dress, a vintage replica of some sort, it’s quilty type cotton and features my favourite - planes! So instead the planes on the back are there instead of the welted pockets, it felt too sad to cut them into the fabric and plus, it made these quicker to sew. Now that I have the traced pattern and his size ok, they’re sewn up in less than an hour, and for woven fabric - that’s pretty great right! 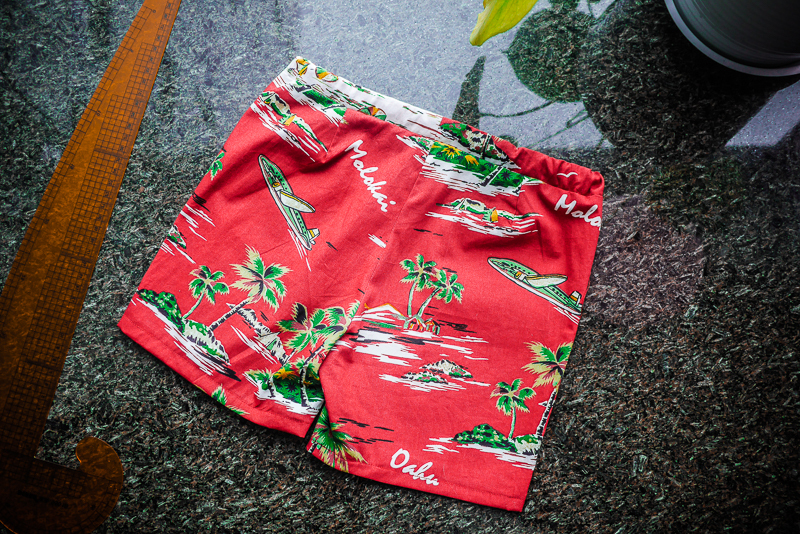 The front pockets are SUPER quick to put in and the waist is elastic with a fake fly. Next time I’ll sew a fake cuff and put the belt tabs on… there’s a lot of variation in this cute pattern. This matchy-matchy style of dressing isn't really my thing... often I find we wear the same colours but as I'm dressing him and myself, it tends to unfold that way (when you've got purple and stripes on the brain, you dress both of you the same without thinking. 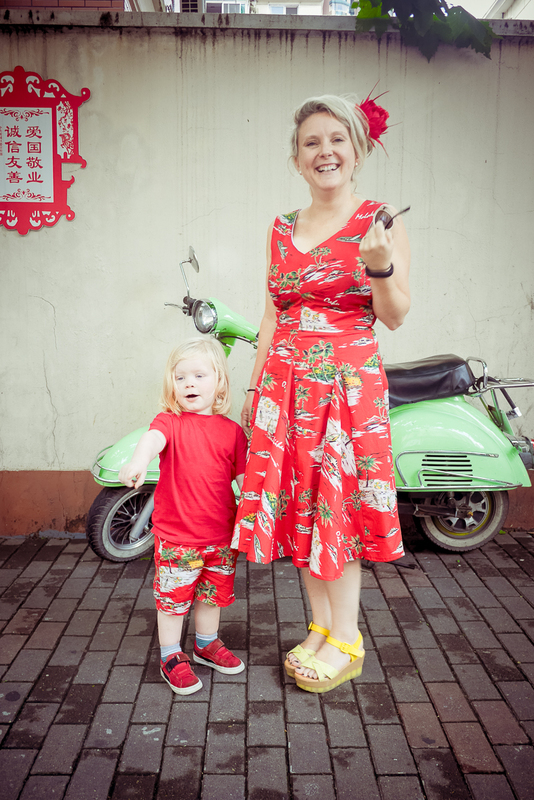 But in Shanghai, people dress very matchy-matchy all the time... like the whole family! I've seen everyone wearing Minnie or Mickey Mouse tshirts. I've seen families in all sorts of yellow tshirts with different Minion characters on the front. I just find it so hilarious that it's a thing, and not ironically. EARNESTLY. I want to dress us a bit the same more to 'blend' in. LOL ... we'll see. But I just couldn't waste this darling fabric, so matchy matchy it is. Well when I convince him to wear clothes that is!